Lawrence University President Jill Beck announced Thursday (2/2) that she plans to retire in June 2013 after nine years as Lawrence’s president. Beck, the first woman president in Lawrence’s history, became the college’s 15th president in July 2004. Terry Franke, chair of the Board of Trustees, said finding President Beck’s successor would be a significant challenge. Franke credited Beck for timing her retirement in a manner that provides the Board of Trustees with a generous timeframe to plan and execute the search for Lawrence’s 16th president. He added that Trustee Dale Schuh, the chair, CEO, and president of Sentry Insurance and a Lawrence alumnus, would lead the presidential search committee. Beck said the next 17 months would be busy ones as she focuses on several priorities aimed at maintaining Lawrence’s strong momentum. A native of Worcester, Massachusetts, Beck received a bachelor’s degree in philosophy from Clark University, a master’s degree in history from McGill University and a Ph.D. in theatre from the City University of New York. In 2009, Forbes.com called Beck a “barrier breaker,” one of 15 female college presidents on Forbes’ list of America’s 50 Best Colleges. An interactive phonecast with President Beck and Lawrence Board of Trustees Chair Terry Franke will be held on Thursday, March 1 at noon. Details for participating will be forthcoming. A game-changer for Lawrence University. President Jill Beck announced a $5 million gift from Lawrence graduates Tom and Julie Hurvis that will support the establishment of The Hurvis Center for Interdisciplinary Film Studies, a facility dedicated to the integration of film production into the Lawrence curriculum. The $5 million gift from the Hurvis Charitable Foundation was a part of Lawrence’s recently concluded “More Light!” campaign that raised more than $160 million. The opening of the Hurvis Center will expand the scope of Lawrence’s current film curriculum, physically and intellectually. The program currently includes interdisciplinary courses on film theory, history and analysis. The gift will create a fully functional film production studio supporting students’ creation of film and video for artistic and scholarly expression. Beginning with its signature course, Freshman Studies, Lawrence provides a rigorous education in the traditional forms of literacy — cogent writing and oral dialogue. The enhanced film program will complement those traditions by engaging students in a third form of literacy essential for the 21st century: the visual literacy of film and video. “Students already learn to ‘read’ film through our existing film theory and history curriculum,” said Beck. “The expanded program made possible by Tom and Julie Hurvis will enable students to learn to ‘write’ as well, producing original documentaries and creative films to express ideas, to raise awareness about issues of concern, and to share research with scholarly and community audiences. Award-winning filmmaker Catherine Tatge, a 1972 Lawrence graduate, will serve as a consultant to help get the program launched, offering workshops, assisting students and faculty with specific projects, and consulting with film studies faculty on how the Hurvis gift can best be put to use in curricular development. “Catherine has expressed enthusiasm for the existing film studies program and is eager to work with faculty on an enhanced program that reflects Lawrence’s distinctiveness,” said Beck. With more than 25 years of filmmaking experience, Tatge brings a unique vision for the development of a program that will be integrated through diverse areas of the Lawrence curriculum. 2010 Lawrence graduate Garth Neustadter composed the score for the John Muir film and won an Emmy Award in the original music composition category. The Hurvises are looking forward to watching the evolution of a distinctive film program rooted in Lawrence’s liberal arts tradition. Filmmaking at Lawrence will promote cross fertilization throughout the campus, drawing upon resources from music performance, composition and arranging, art, dance, theatre, and creative writing. It aspires to engage many academic departments by making film another way for students and faculty to disseminate disciplinary research and ideas. “Lawrence already has very good creative synergy with the conservatory of music, with art, the theatre department and other creative areas, so the film program will be a beautiful tie-in to all of those different creative juices,” said Tom Hurvis. “I see bringing different parts of the university together to work on different aspects of the media and cinema process so that students will leave Lawrence being media-savvy and capable of effectively communicating their ideas,” added Tatge. The Hurvis Center will be located in the renovated lower level of the former Jason Downer Commons. It will provide more than 5,500 square feet of new academic programming space, including a 2,000-square-foot central performance and screening venue for use by film studies and other disciplines, including theatre, dance and music. The large and flexible space will promote collaboration and cross fertilization among multiple disciplines. The gift also will support the addition of a new faculty position to develop new offerings on filmmaking and a technical position to provide expertise in maintaining equipment and instruction on how to use it. Tom and Julie Hurvis’ interests in film include serving as producers of the 2009 award-winning documentary film “The Providence Effect.” Winner of two film festival “Best Documentary” awards, the film chronicles the efforts of Paul Adams to transform Providence St. Mel, an all-black parochial school on Chicago’s notorious drug-ridden, gang-ruled West Side into a first-rank college preparatory school for its African-American student body. 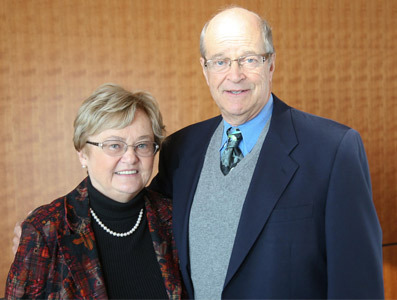 A $3.99 million gift from the charitable trust of two former Lawrence University students who met on campus more than 75 years ago will provide significant investment in campus facilities as well as support for student scholarships and the endowment officials announced today. 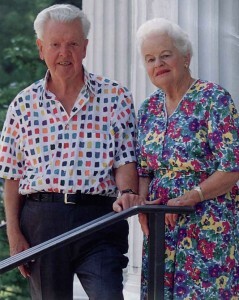 One of the largest gifts in Lawrence history, the $3,997,319.72 bequest from the Paul and Katherine Schmidt Trust will be directed toward three main areas: improvements in the campus physical plant, including residence halls; the Paul and Kay Schmidt Endowed Scholarship Fund, which was established in 1989 to support students with interests in economics or business; and Lawrence’s endowment. Both members of Lawrence’s class of 1939, Paul and Kay Schmidt attended the college’s homecoming festivities together in 1935 as a first date. They eventually married and shared more than 68 years of marriage together. A native of Park Ridge, Ill., Paul Schmidt participated in an executive program at Harvard University after earning a degree in economics at Lawrence. He spent most of his career with the Harold F. Pitman Company, a printing business, rising to rank of chief executive officer and chairman of the privately-held company based in New Jersey. He retired in 1982, having helped the company grow into North America’s leading graphic arts supplier. He died in November 2009 at the age of 92. Kay, a native of Chicago, passed away in February 2009 at the age of 91. 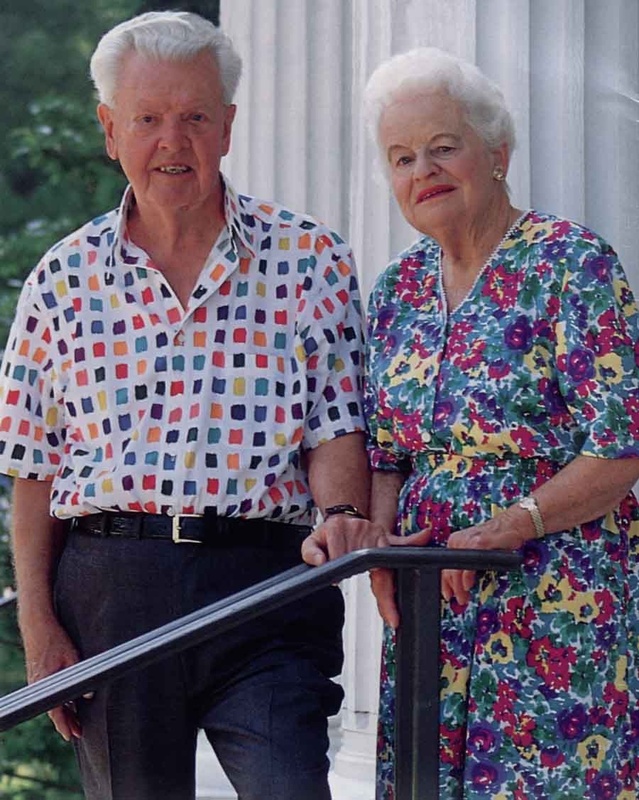 The Schmidts established their charitable trust in 1994 during the five-year, $60 million “Lawrence 150” campaign celebrating the college’s sesquicentennial. The $150 million “More Light” campaign, publicly launched in October 2008, has raised $137 million to date. The campaign is expected to conclude in October 2011.